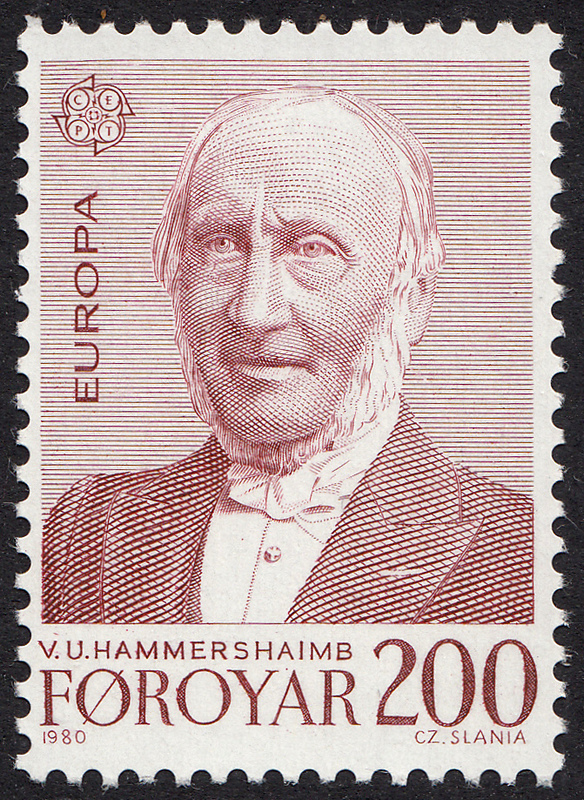 In 1980 Faroe Islands issued its second set of Europa stamps engraved by Czeslaw Slania. the first being in 1979. The 1979 set was dealt with in a previous blog. Click HERE to read. The subject of the 1980 Europa set is famous Faroese people. This set was issued 6 October 1980. 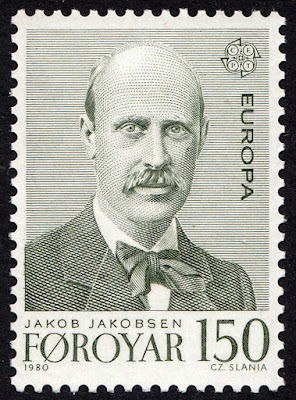 Dr Jakob Jakobsen was born 22 February 1864 in Tórshavn, Faroe Islands. He is the first Faroe Islander to earn a doctoral degree in literature. His work focused on Faroese folktales and oral poetry. 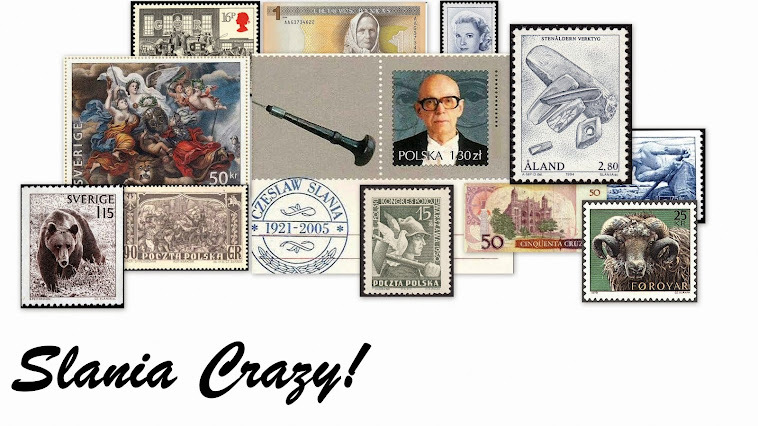 He believed that these stories were an important source for studying Faroese history. 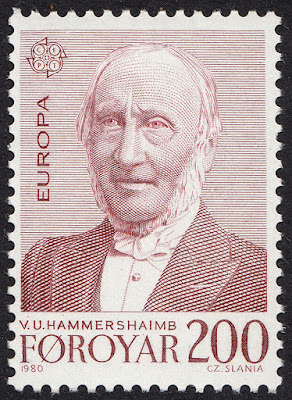 Venzel Ulrich Hammershaimb was born 25 March 1819 in Sandavágur, Faroe Islands. He was a Faroese language and folklore researcher. He was also a Lutheran pastor. Both portraits have been engraved with Slania's usual extreme attention to detail. The skin is alive and full of texture. The eyes of both men are so captivating and lifelike, one expects them to perhaps turn our way and give us a wink.